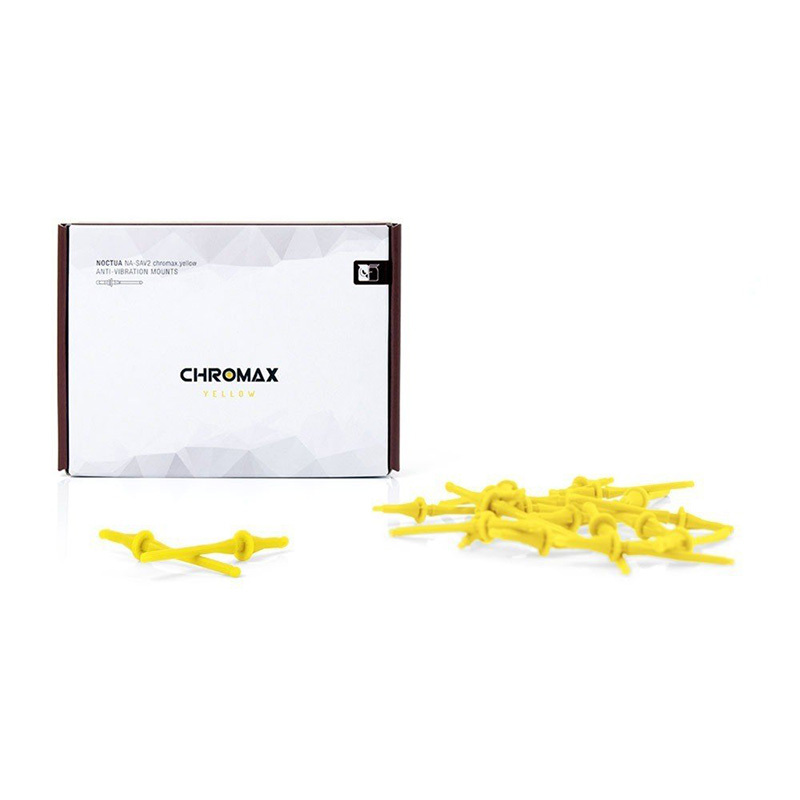 The NA-SAV2 chromax.yellow is a fan accessory set consisting of 20 yellow NA-AV2 anti-vibration mounts for up to 5 fans. 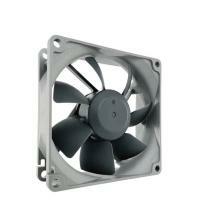 Replacing standard fan screws, the NA-AV2 mounts enable the convenient, quick and vibration-free installation of fans in standard mounting holes for case fans. 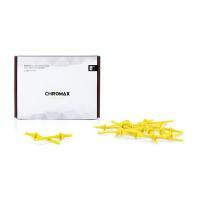 At the same time, the chromax.black edition is ideal for creating all-black builds with Noctua’s industrialPPC fans.